I decided to post a photo from the last year's sailing trip to Croatia. 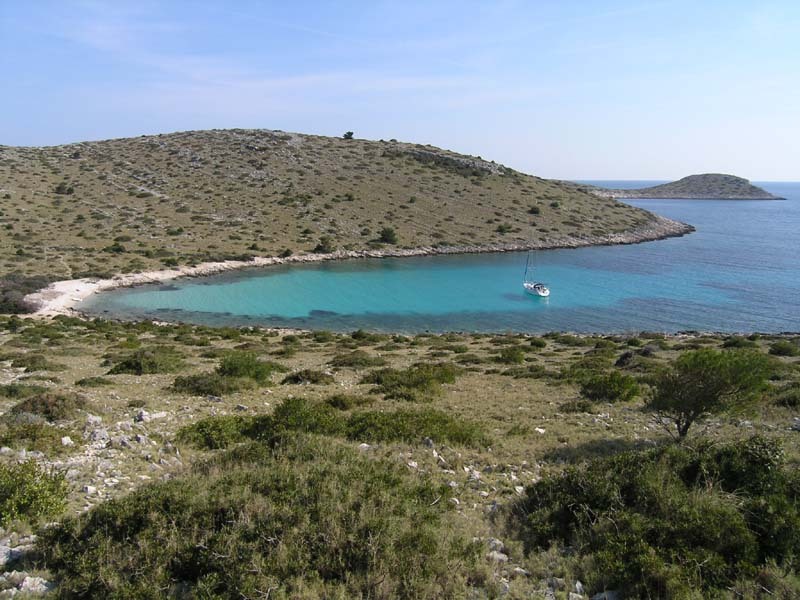 Our rented Bavaria 37 is anchored in an idyllic island bay in the Kornati region. For the last few years I went sailing twice a year with a group of friends. It has become more or less a traditional event. There is only one general rule to this event - no mater how nice they beg - we have all agreed not to take our girlfriends/wives with us. There are other occasions when they are very welcome to come sailing along, but this is a none negotiable one. Every year we have chosen an early spring and a late autumn date. That means that the first one this year is approaching fast. Unfortunately a couple of days ago I was informed, that we are looking at a few extremely busy weeks at work. Sadly this means no spring vacation for me just yet. I hope it is going to be a bit sweeter when it eventually comes to it. Yes it is the island of Levrnaka in all its beauty. Deserted in that time of year. But... right around the corner there's a place called Strižnja. If you like (to eat) fish, you should go there. Yummy!